Eligibility: The candidates must go through the AMU BA LLB 2019 Eligibility Criteria carefully before applying for the exam. Educational Qualification: Candidates must have passed 10+2 examination with a minimum of 50% marks from any recognized board of education. Bridge Course: Bridge Course (for Graduates of Deeni Madaris) from AMU with must have a minimum of 50% marks. Age Limit: The candidates should not be more than 22 years as on 01st July on the year of admission. Eligibility: The candidates must satisfy all the eligibility criteria imposed by the official authorities of the AMU BA LLB 2019 to get the admission in the desired UG programme. If at any stage the candidate is found ineligible for AMU BA LLB 2019 his/ her admission will be cancelled right away. Nationality: To appear for the AMU BA LLB 2019, candidates must be a Citizen of India. 10+2 Appearing: Candidates appearing or awaiting results for 10+2 qualifying examination are also eligible to apply. They’ll be required to submit the proof of passing the qualifying examination at the time of admission. Disability: Persons with Physical Disability are provided age relaxation of up to five years. 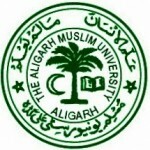 Aligarh Muslim University conducts AMU law entrance exam for admissions to 220 seats of BA LLB programmes offered at three campuses of AMU. There are as many as 100 seats at Aligarh campus and 60 seats each at Malappuram campus and Murshidabad campus.